books illustrated blog: Our fourth Bologna Children's Book Fair! 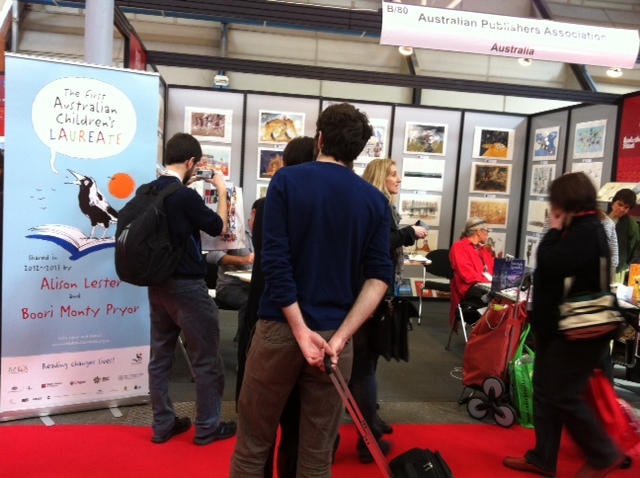 This is the fourth Bologna Book Fair that Books Illustrated has attended - with an exhibition of prints to promote Australian picture books and their creators. The exhibition is part of the Australian Publisher's stand. 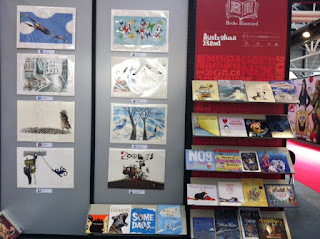 This year we exhibited 32 Giclee prints from picture books published by 13 Australian publishers, representing over thirty authors and illustrators. 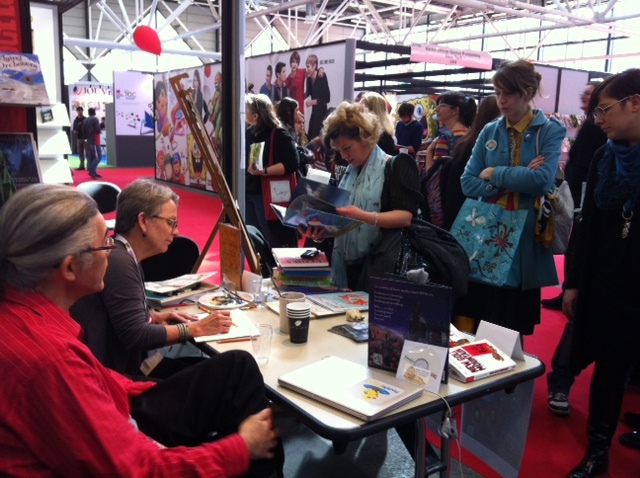 A number of illustrators and authors spent time on the stand drawing, painting and chatting to visitors over the four days, including Judy Horacek, Nick Bland, Ann Jmes, Serena Geddes, Isobelle Carmody, Bruce Mutard, Lucia Masciullo, Lesley Vamos, Chris Cheng and Jeannette Rowe. 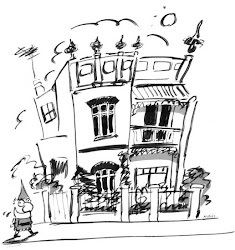 There was a great deal of interest from a variety of visitors including international publishers, illustration agents, illustrators and authors and other individuals. 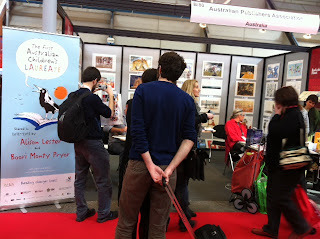 Our stand continues to build fans each year which is encouraging! 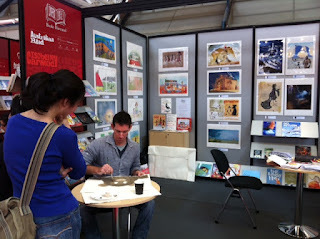 Nick Bland painting at the Australian Stand Illustration Exhibition with prints and books on display in the background. 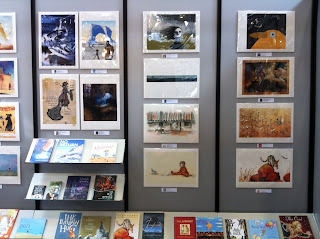 Illustrations and books on display. 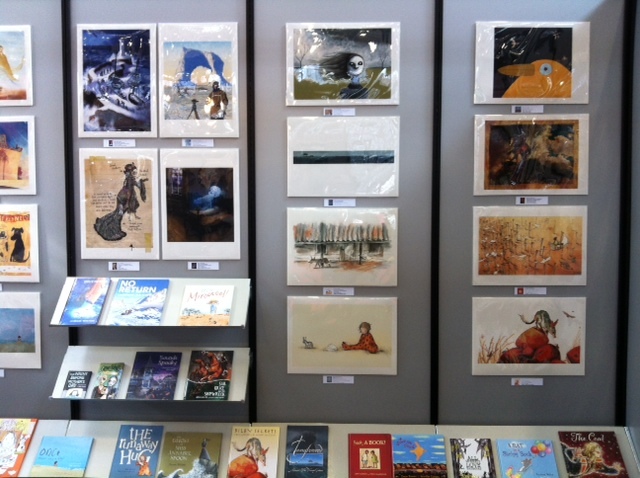 Illustrations and books on display at the stand. 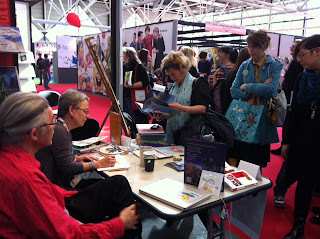 Our eye-catching Australian Children's Laureate banner created much interest in what Alison Lester and Boori Monty Pryor will be doing during 2012 and 2013. Ann James and Chris Cheng demonstrating their talents for visitors passing by. 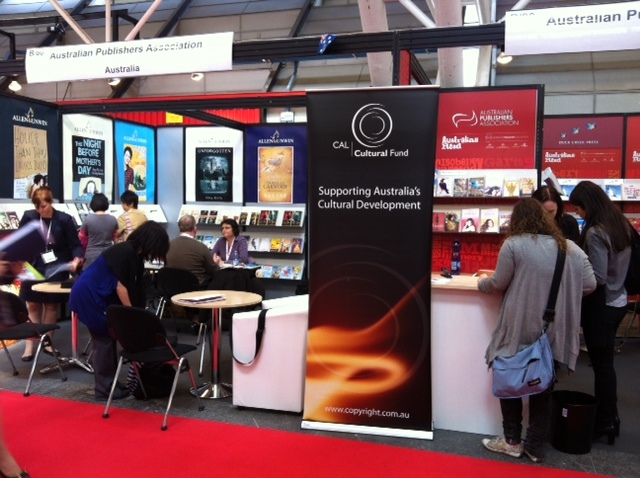 The Allen & Unwin and Australian Publishers Association (ASP) stands next to the Illustration Exhibition.